Oases of South Tunisia, plays an important role in environmental, social and economic aspects of this region. This research was conducted in ten regions located on the south which are affected by changes in conditions and composition of land cover change. For each study area, Landsat imagery, thematic maps and training data were acquired. These images were georeferenced and radiometrically corrected and landscapes product were generated using Decision Tree Classification. The landscapes typology were then evaluated using the extract oases. This study aimed to assess the potential of NDVI (Normalized Difference Vegetation Index) to determine oasis cover using medium spatial resolution remote sensing imagery in the south of Tunisia. It explores the possibility of identifying and mapping oasis landscape types by using remote sensing, Geographic Information Systems and statistical analysis. The superposition of environment types map obtained with oasis extracted from NDVI map has shown six oasis landscapes in southern Tunisia : Gafsa-ElGuettar, El Hamma de Gabes, Douz-Kebili, Rjim Maatoug, Tozeur-Nafta and Tamerza Chebika oases. 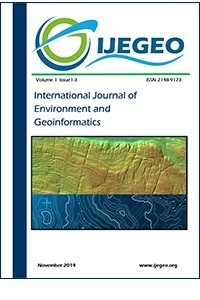 This research paper allowed to define a methodology for the construction of landscape types, in a computerized way, based on remote sensing and GIS and its result can be a draft work to make an Atlas of the landscapes of our site of study or, it can be used as a basic document to monitor the spatial extension of agricultural perimeters in order to ensure the sustainable development of these particular agro-systems.